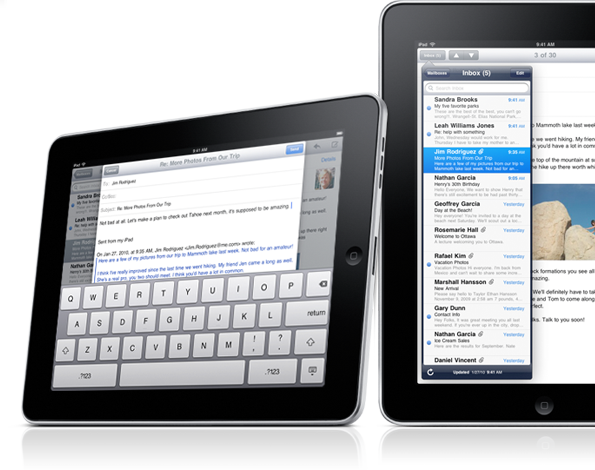 A report has leaked claiming that the next Apple tablet will come packed with a 3D display. Unconvinced? Me too, considering the report is being passed from LA studios in Hollywood, CA. The fact that the iPad 3 is 3D is a dead cert,” one Hollywood insider close to the big movie studios told RCR, adding that the screen would be the real magic. She went on to say that the big film studios were currently running around like blue arsed flies trying to gear up to release plenty of 3D content in time for Apple’s next launch. It’s hard to believe Apple will resort to 3D with the iPad considering the lack of a three dimensional track record. The company patents all technology under consideration, but Apple has not registered registered any interest in 3D content or support. Even though 3D has been attempted on the iPad before (see above), Apple has refused to truly utilize three dimensional technology.